Considering starting a food blog? Better yet — a profitable food blog? A ton of people have this dream, and it’s totally achievable, albeit a lot of hard work! The following guide is intended as a roadmap for those who are seriously considering blogging as a source of income. Starting is not hard — but with a bit of strategy you can start smart and avoid some setbacks later on. Let’s go over, step-by-step, how to start a professional-looking food blog that you can make money from. Some of the below links are affiliate links, which means that you’ll be supporting this site if you decide to purchase through one of them (at no additional cost to you). Everything on this page are services that I currently use myself or have used in the past for running this blog. Before we dive straight into the ‘how to’ technical aspects, you definitely want to consider your blog subject. What kind of food blog will you create? Will you focus on Mexican food? Healthy dinnertime recipes that can be thrown together in 15 minutes or less? Themed snacks and goodies that are perfect for little girls’ birthday parties? If you’re not sure yet it’s ok, but if you can identify a specific area, or niche, that you’d like to focus on it will give you a big leg up. Food blogging is pretty darn competitive by nature — with so many awesome bloggers out there you have to find a way to make yourself stand out in the crowd, so the more you can differentiate yourself from other “general” food blogs, the better. It means you’ll have an easier time ranking your site, getting readers, monetizing your traffic, and of course choosing a unique blog name. Hosting, Domains, WordPress Oh My! Ok, once you’ve brainstormed and chosen a specific niche / area you want to cover, you’re almost at the fun part of looking for a domain name. But first… let’s make sure you understand the big picture of how a website is built. All the terminology can be super confusing at first, so below is a bit of a map to help you visualize what you’re building, and understand why you need each of the building blocks. REGISTRAR: You need to buy your domain name from a registrar. So for this site, I purchased the domain name UnconventionalBaker.com from the registrar Namecheap. HOSTING: You need to purchase web hosting for your site. Your host is the one that has a computer server where your website will “live”. A host I really like is Siteground. WORDPRESS: You need website software to build your site and make it function properly. WordPress is an excellent CMS (Content Management System — aka software that lets you organize your writing and photos easily). It’s extremely user-friendly, open source, and popular. Oh yeah, and free! Now, the tricky thing to understand about buying a domain name, and buying hosting, is that some companies will offer to sell you both. While you can do this, I think it’s better to separate where you buy your domain and where your site is hosted. The reason for this is in case you have any trouble with your host, it won’t affect the ownership of your domain name. Since the product / services you are purchasing are digital, it just mitigates your risk in case you run into troubles with any one company. A better safe than sorry kind of thing. 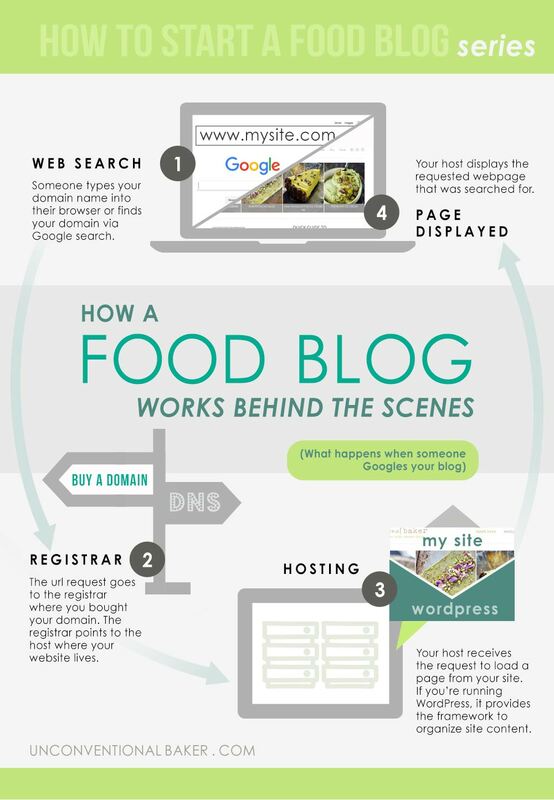 Those are the basic elements that will get your food blog going on your own little corner of the internet. Ready to choose your name? Time to hit up a registrar! Try brainstorming some ideas before you fire up the computer. What words describe you, your style, your food. What sounds catchy? A good domain name will ideally be short and easy to remember, and stand out as something truly different amongst the competitive world of food blogs. Once you have some ideas, it’s time to use a search tool to see what domains or domain variations are available. The best idea is to use the registrar you will buy from to search. I recommend using Namecheap, as they are inexpensive, have a good solid reputation, and excellent customer support (their support chat has helped me out on more than one occasion). Below is a video of how to find and register an interesting domain name using Namecheap. Got your perfect domain name? Yay! It’s starting to get exciting. The next step is to get hosting for your new site. Hosting is basically renting the computer space where your blog will “live”. Just like the house you live in, there are different levels that you can pay for. The cheapest hosting is great because it’s affordable but you share server space with a ton of other websites. Great for the wallet, but not great when you start getting really popular (because there are only so many resources to go around). There’s also more expensive hosting, where you pay for having more resources to yourself (great for when something goes viral and there is a ton of traffic) and more personalized service, but you obviously pay for it. If you want to start out as low cost as possible, the shared hosting I recommend is Siteground. You can get started for $3.95/mo, so it’s an inexpensive way to get hosting and great customer service. Check out the video below to see how easy it is to sign up with SiteGround. Right now the host that I’m using is Synthesis. They are a managed WordPress host, which means if there are server problems they take care of it. Once this blog started to grow I switched to Synthesis and noticed an immediate improvement in speed and responsiveness from the site. I’m very happy with the service I’ve received from them, so can definitely recommend them, but only once your blog is starting to get more traffic due to the cost. Next step is to get some website software installed so that you have the basis of a site. I recommend WordPress, because it’s free, easy to use, and there is a huge community of people online to support all the needs you may have for your site. Installing WordPress is easy. The video below walks you through using the easy installer if your host is SiteGround. Plugins are the way that you can extend the functions of your website, and make WordPress do pretty much anything conceivable. So, let’s walk through how to install a simple useful plugin: AddFunc Head & Footer. Once you install this plugin you’ll be able to add bits of tracking code to your site and you’ll know the process for installing other kinds of plugins as well. Now I have to warn you, plugins can be a bit addictive! You don’t want to go too overboard on them, because if you use too many they can start to conflict with each other (causing your site to slow down or pages not to load) and it’s a pain to figure out which one is causing the problem. It’s also best to go with plugins with good reviews and support, as often times plugins are abandoned by the developers and become buggy over time and sometimes plugins come with security risks, so best to use ones that are trusted and recommended by users and have the best reviews. If your want to be able to monitor traffic to your blog (very important if you’re looking at making money from your food blog) then you’ll want to have Google Analytics running. To do this, you need need a Google account, and we’ll use that plugin we just installed to get some tracking code in there. Watch below how I find my tracking code and get it installed on my site. Photography is such a huge deal for a food blog, and we tend to have a ton of giant detailed photos on even a single post. One mistake I made in the beginning (and I see a lot of food blogs out there make) was not resizing my images. This is a huuuuge deal. When your site starts accumulating many large images, it makes your pages load slow. And a slow site annoys visitors (they leave) and makes your rankings suffer because search engines favor fast-loading sites (so double whammy if your images are massive). The only thing is that it’s important to keep a saved original size version of your images — you never know, you might be asked for a full resolution photo for a magazine, a photography site, a book, etc., or if you change themes and need bigger images down the road. 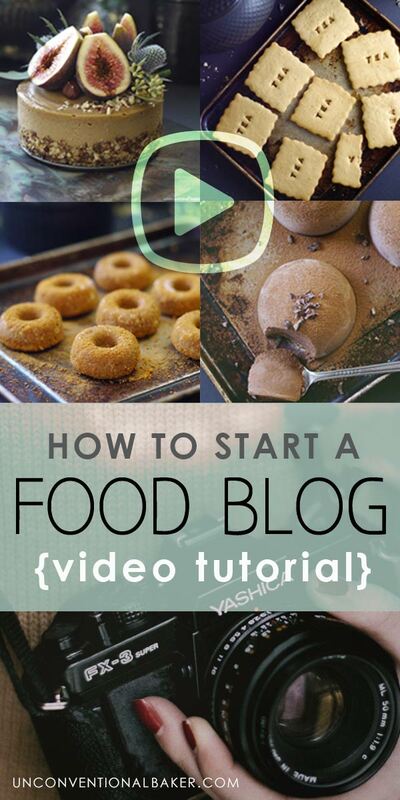 That covers the very basic steps of how to set up a food blog. 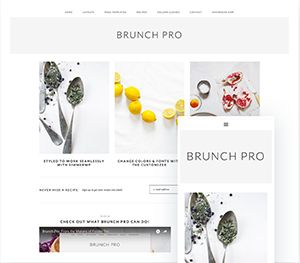 Now about making it professional so that you can make money from it… this comes down to many factors, but at the basic level you need to have great content — if you’re a food blogger then that means gorgeous photos and delicious recipes. It helps if you’re a great writer, too… but I’d say the recipe quality and photos and are the most important aspect. Below are more tips to set your blog up for success from the beginning. Once you’ve reserved your blog name, it’s a good idea to set up social accounts with the same name (if possible). Even if you’re not going to be posting to social for a little while, go ahead and do it now so you have them when you’re ready. I’d definitely reserve: Pinterest, Facebook, Instagram, and Youtube, and then whatever other channels you see yourself using (Twitter, Snapchat, etc). This is one of the quickest ways to get more traction with your site. If your images are beautiful, that means they are sharable, and shares lead to traffic. 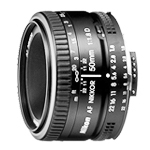 A good camera and lens helps a lot with capturing good images. I use this camera with this lens and this adapter, which is a pretty simple setup. My other favorite food photography props are listed on the resources for bloggers page. The biggest thing here is that you need to practice, practice, practice and invest in good equipment as you can. Believe it or not, sticking to a regular posting schedule will help you get traffic. A lot. It doesn’t matter how often you post (once a week or daily each Monday, Wednesday, and Friday) whatever you pick just stick to it. In the world of food blogging, Consistency and Stamina are the name of the game. You’ll see your rankings naturally growing, and your audience will as well when they know that you reliably post every Tuesday morning. Honestly, being consistent will set you ahead of the pack. 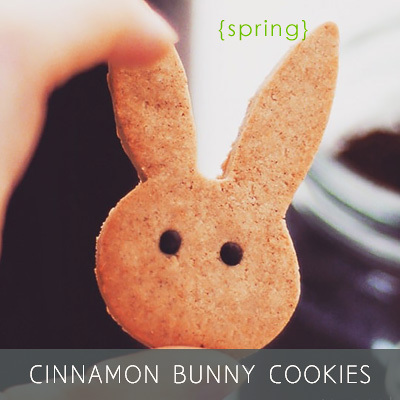 Once you get going with posting recipes it’s time to hit up the photo sharing sites. Some of these are more difficult to get accepted to, but just keep at it and you’ll get your first photo in in no time. 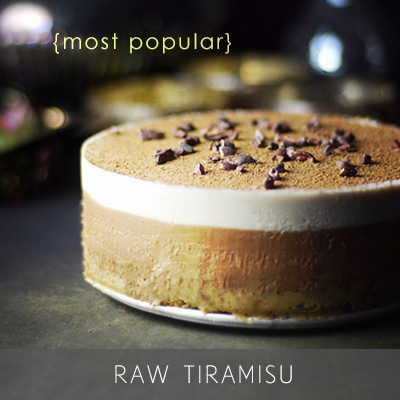 There are a lot out there, but the ones that most people use and find worthwhile are FoodGawker, TasteSpotting, and Finding Vegan (if your recipe is vegan). This can be an excellent way to drive traffic as well as picking up new blog readers. Currently I only submit to Finding Vegan as I found the best return from submitting there, especially when a recipe gets featured on their Facebook page. With the blog growing rapidly I found that I wanted to focus my energy on the most efficient ways to communicate with others, and so I decided to pare it down to the most useful resources for me. Finding Vegan happened to be the closest one to my niche and one from which I could connect with my target audience (as opposed to sites like FoodGawker and TasteSpotting which cater to a wider variety of diets and food types, and are largely focused on a very specific type of photography style — so standing out as an alternative dessert maker with a unique photography style is not as simple). Other submission sites might work best for you — pick the ones that bring you to most results in terms of exposure, more targeted audience, and so on. Try out different ones and see which do best for your blog. One of the most important assets to your blog will be an email list of people who want to hear from you. Why? Well, social media is amazing, but the algorithms and even favored platforms and content formats change quite rapidly. It’s great to have thousands of Facebook followers, but what happens when Facebook changes their algorithm and most of your page fans never see what you post? Because these platforms belong to someone else, it’s much better to collect a list of emails from people who want to hear from you. Then you can send them back to your site, where you make the rules. At the most basic level you can send emails out when you post new recipes, or a once a week digest with all your posts for the week. Start early and you will be thankful when the time comes to launch a new project or product that you have an existing base of fans happy to hear from you. 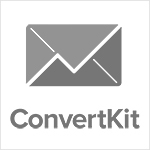 The email service I use now and highly recommend is Convertkit. When I first started out I used MailChimp since it is free. What's the difference between WordPress.org and WordPress.com? Which is better? If I start out on WordPress.com, can I switch to WordPress.org later? Yes, that’s definitely an option to switch to self-hosting your blog later. If you’re not sure how you’ll like running a food blog, this may be a good way to get your feet wet. How do I make my recipe ingredients and steps look like a properly formatted recipe? You need a recipe plugin for that. At this time, I don’t have a great one to recommend. I’ve been using Easy Recipe but support has been patchy so I’m planning on switching to something else in the near future. Will post an update once I find one that I feel good recommending. Can I change my hosting later? Yes, definitely. If you start out with an inexpensive shared plan from Siteground for example, you can always upgrade to a more expensive / robust plan when your traffic warrants it. What if I want to change my domain later? Ah, a subject near and dear to my heart! It’s definitely possible to rename your blog and change your domain name later, but it is a bit painful. Totally doable though if you need to change. 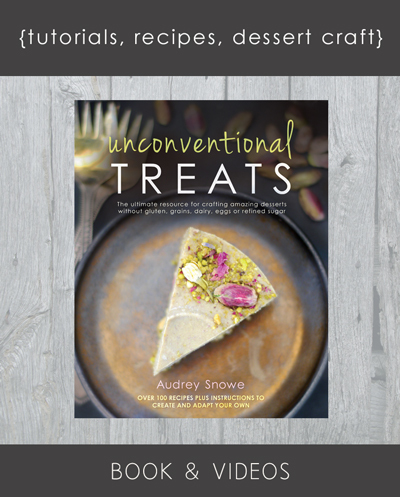 I changed this blog’s name to Unconventional Baker in 2014, and the biggest bummer for me was losing the social shares I’d built up to that point (as they stay with the old url). However, it was worth it in the end because I now love my domain and feel like it fits my personality and the site content really well. How do I back up my blog? I use the plugin Updraft Plus to run automatic backups of my blog. On top of that, my host Synthesis also takes backups and is available to roll the site back to a previous time if anything goes wrong. I definitely feel more secure having multiple backups happening, since this blog is my business. It depends… If you want a professional looking blog it will cost money (with the potential to make money as well). You’ve got your domain ($15/yr), hosting (~$47/yr), theme ($0-$130), plus a ton of other variables like premium plugins, groceries, camera equipment, etc. Depending on what choices you make for various items, it will cost money, but in terms of other business startup costs (like a brick and mortar store) it’s all quite reasonable. Just go into this aware that you probably won’t make money for the first year, unless you’re already a business maverick who knows what they’re doing…that definitely wasn’t me! How often do you have to post recipes? Will Google even know I exist when I first start blogging? A good way to get Google to know about your site is by submitting a sitemap. Do I need any legal pages on my site? Well, I’m not a lawyer, so this is just me telling you what I’ve got on my site: A privacy page with wording that I got from an online generator like this one. Please check and get proper legal counsel for your blog if you have any concerns. Do you spend all day on social media? Haha, sometimes it feels like it! But no, I think it’s important to have a balanced approach and not try to maintain a million social accounts on all the latest platforms. You’ll go crazy doing that. Instead I’ve chosen a few main platforms that I try to do well. For a food blog, I’d say Pinterest is a must. Instagram and Facebook have also been very good for this blog. What happens if someone takes my recipe and/or photos? Sadly, this happens a lot. There are three potential situations you’re dealing with. The first is a person who has taken your content innocently and reposted without understanding that it’s bad form. For this situation, the best way to deal with it is by reaching out and polity asking them to remove your photo(s)/ content. Most people will understand and take down your material. If after a polite email exchange they refuse to remove the material I contact their host with a DMCA notice. 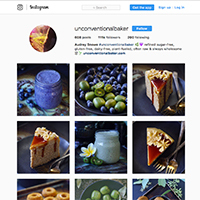 The second type of situation you’ll run into is a company using your recipe and/or photo to promote their product. An example of that would be if they repost your recipe/ photo and either imply or state that it was made using their product, or that you recommend using their product in your recipe. Usually if you contact them they will tell you that they used your material innocently and that they just want to promote your blog. And while there is the possibility that is true, many times if you look around their website you’ll find other examples of the same behavior. Whether innocent or not, if a company doesn’t arrange it with you beforehand, you should ask to have the content removed because you aren’t being compensated fairly for using your material. When I email a company I keep things polite, short, and brief, explaining that I noticed my material was used and that my photos and recipes are copyrighted and they should therefore please remove the material. Another option is to also add a sentence something like: “Alternatively, please provide me with an address where I can invoice your company for the use of my work”. Most small companies will remove the material immediately as they do not want to pay. If after a polite email exchange they refuse to remove the material I contact their host with a DMCA notice. 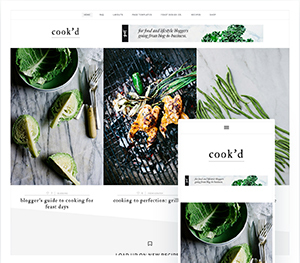 The third situation you’ll deal with is a recipe scraping site, which exists solely to repost people’s recipes/ photos on their own site and profit off them through advertising or selling their own products. These people also tend to be deceptive/ confrontational when approached. I therefore go straight to the their host with a DMCA notice. 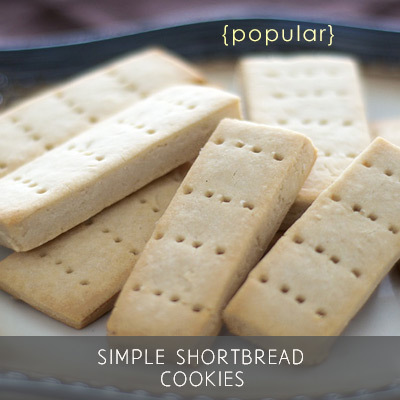 There are many ways to do this, like the recipe/ photo sharing sites mentioned above. Then of course there’s social media–Pinterest, Facebook and Instagram all drive significant amounts of traffic to this blog. Another biggie is your email list. 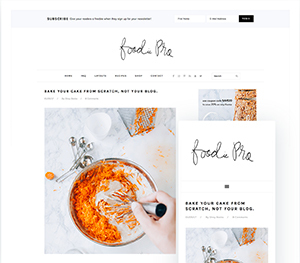 Build up an email list of people interested in getting your recipe updates, and then you can drive traffic back to your site with the click of a button. If you have any other questions, please let me know in the comments and I’ll do my best to answer. Good luck starting your blog!! Thank you for the effort of writing this guideline. It has been very helpful. Thank you, Yuvie — I’m glad you found it helpful! wow I just posted a comment on your recipe page and found this food blog instruction. The last two months have been wading through mountains of information just to find one thing that help me overall ..I started to wonder I shd start a blog, journal entry of what I learn and what bloggers help. …guess my question is, if I post say a recipe I tried of yours, can I post the journey and add your site to the link on my blog or do I first need to get some form of written permission before I can add another blogger’s link? You never need permission to add another person’s link — that’s totally fine. Posting the actual recipes onto another blog though is generally not advised, as recipes and photos are copyrighted. To re-post an actual recipe in full or photos does require permission. But if you for example write about your own experience with a recipe or share your thoughts about it (and your own photos of it, if you’re planning on taking any) and then post a link to where people can find the actual recipe is perfectly fine. Thanks for this super helpful and detailed post <3 I started a food blog this year, but I haven't post in a while now… But you inspire me to keep going and to make it beautiful and fun. This information has been great!! Good! Yes it can take a while to get the ball rolling with your blog in the beginning, but persistence really pays off if you can stick with it. Good luck with your blog Agata! Super helpful! I’ve just started my own food blog on WordPress.com and am looking to change to WordPress.org and pay for hosting and a domain name. I’ll definitely be referring to this during the process! ?